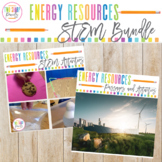 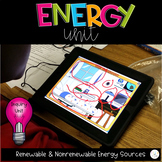 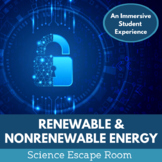 If you're looking for a hands-on project that sharpens your student’s critical thinking and presentation skills this summative project on energy resources is for you! 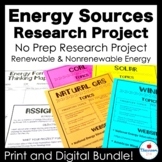 This project is designed to assess student's knowledge of the advantages and disadvantages of renewable and nonrenewable resources. 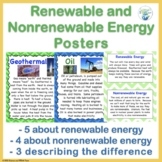 A handout briefly describing renewable vs. non-renewable energy sources, with examples. 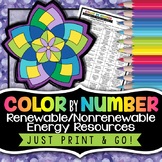 Includes a word bank sheet. 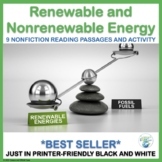 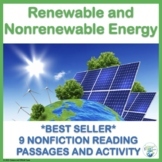 Overview of renewable and nonrenewable energy resources. 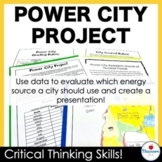 Includes links to related videos and songs, major vocabulary and definitions, and related graphics to further understanding. 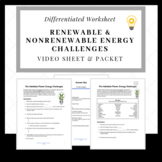 The Wright Ladies present a Renewable and Nonrenewable Energy Task Cards! 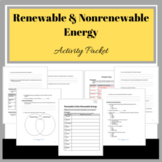 These task cards are Included in this download: -20 task cards -student recording sheet -answer key If you like this product make sure to check out our renewable and nonrenewable sort!